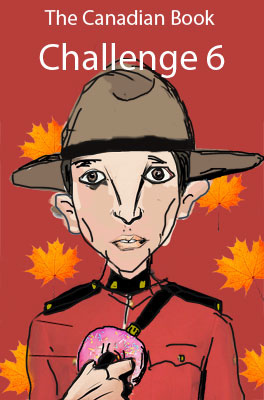 The Challenge: to read and review 13 or more Canadian books in a one year span - Canada Day to Canada Day. Reviews must be posted online and participants are asked to share links to their reviews with other participants. Canadian books can include any form or genre and can be written by Canadian authors ( by birth or immigration) or about Canadians. For more info click link above. Every year I think about joining this challenge but then let it pass because I'm already overloaded with challenges. This year I cut back drastically on challenges and as I'm progressing well with all of them have decided there is room for one more. I know our library has an excellent selection of Canadian authors and look forward to seeking out those I haven't read. Hurrah, you're joining us! I love this challenge -- John does a great job keeping us all reading. Can't wait to see which books you'll be able to find -- interesting that your library has lots of Canadian writing! Thanks Melwyk, I'm looking forward to discovering more Canadian books on the library shelves. I am so glad that you're joining us, Cat! This is by far my favourite challenge to participate in and John does an amazing job hosting. And how wonderful to hear that your library has a good selection of Canadian books! Some of my favourite reads have been by Canadian authors and I'm sure there'll be many more when I start poring over the library catalogue.